Is Jesus eternal? That was one of the main questions addressed at the first Council of Nicaea. They encapsulated the answer to our question inside the Nicene Creed… but they used an odd word to do it. 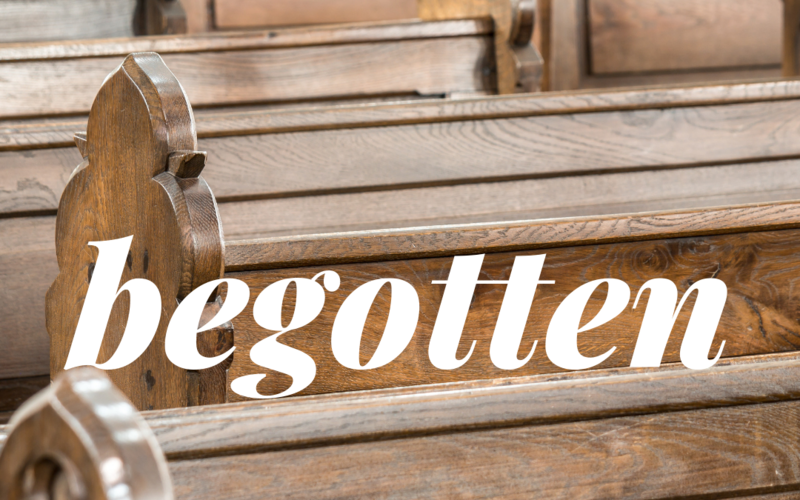 What does the word “begotten mean”? Begotten in this sense refers to the special relationship between Jesus and God. In the Hebrew meaning of the word, “begotten” refers to a son being the same as the father. Just the way that Isaac was “begotten” of Jacob. He was the same as him. What do you think? Should they have used a different word?